It’s been a banner year for tomatoes in my vegetable garden this year. I’ve made tomato sauce, tomato jam, tomato chutney and tomato soup, and still the tomatoes keep on coming. Even the squirrels and chipmunks seem to have reached the point of satiety and are no longer robbing me of my crop. At this writing (early October 2013) my remaining plants are producing about a half-dozen tomatoes a week. Since I only have a small freezer, and since it’s just my husband and me to eat all this bounty (and he really only likes tomatoes as sauce), I was running out of ideas to use up and/or preserve so much goodness. As an experiment, I made a batch of oven-dried tomatoes, but while they tasted good, they turned somewhat brown and unattractive and I didn’t like running my oven all day long, either. I started to wonder about dehydrators. 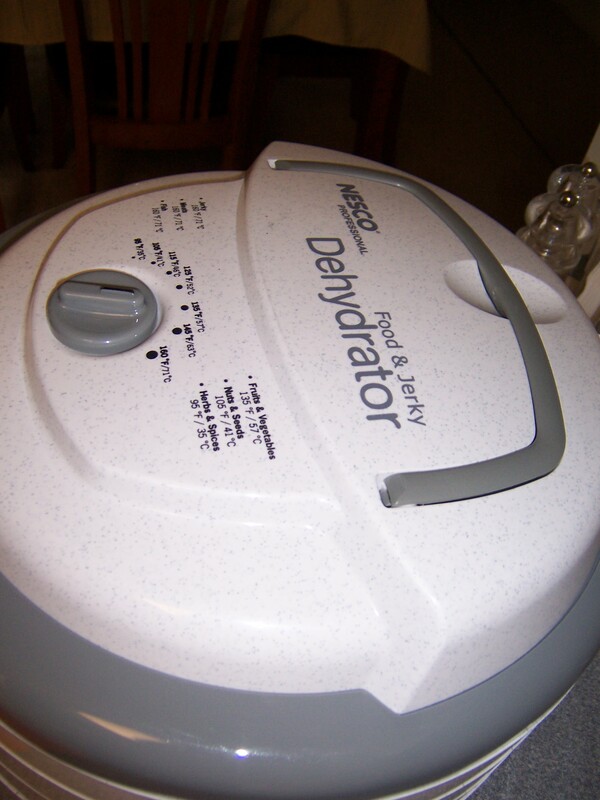 I spent several days researching recipes and looking up reviews on various models, and eventually ordered a Nesco 600-watt dehydrator. According to Amazon, it would ship within a week, so I began to stow away tomatoes like a squirrel hoarding nuts. For some reason shipping occurred later than anticipated, so by the time the Nesco arrived, on a Friday afternoon, I had a refrigerator bin full of lovely ‘maters ready to go. Cutting up a Beefmaster; the ruins of several Lemon Boys await the compost pail. I tore into the box, eager to get going. Amused, John cautioned me to test the equipment first and retired to his basement workshop to tinker. 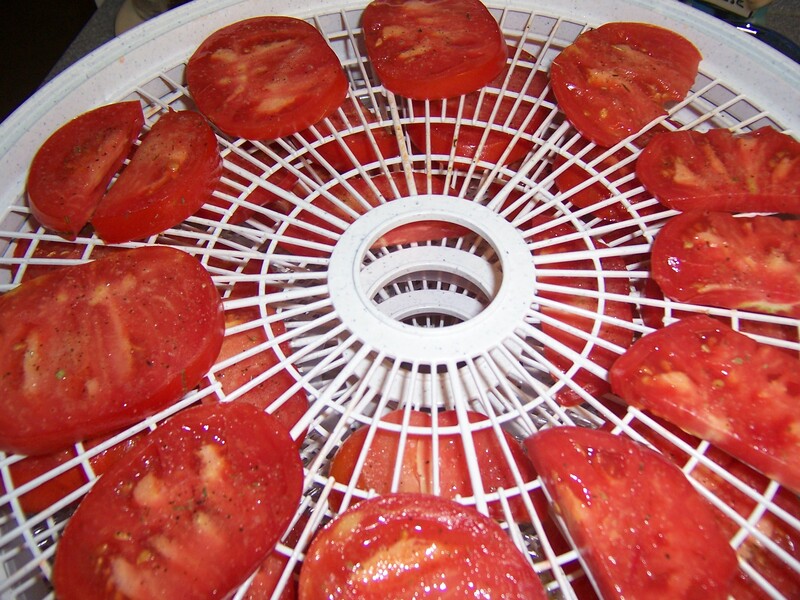 I read the instructions carefully (pretty simple), assembled the dehydrator (even simpler) and set to work cutting up tomatoes. 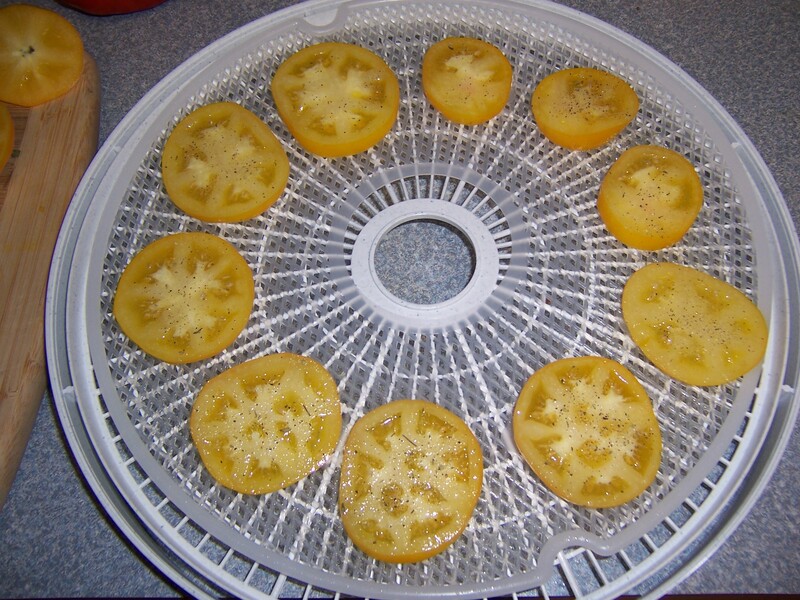 I had mostly Beefmasters, Lemon Boys and one or two Old Germans (an heirloom that produces lovely yellow and orange- striped beauties), and I quickly filled two of the dehydrator’s five racks with tomato slices about a quarter-inch thick. I gave each a shot of vegetable spray and a scattering of Penzey’s Sandwich Sprinkle, then stacked the racks into the unit and plugged it in. A rack of Lemon Boy slices. We reassembled the stack and turned the dehydrator on. It whirred breathily, like a box fan – a rather pleasant sound. I took everything back upstairs, filled the other three racks, set the temperature on the unit for 135 degrees and plugged it in. 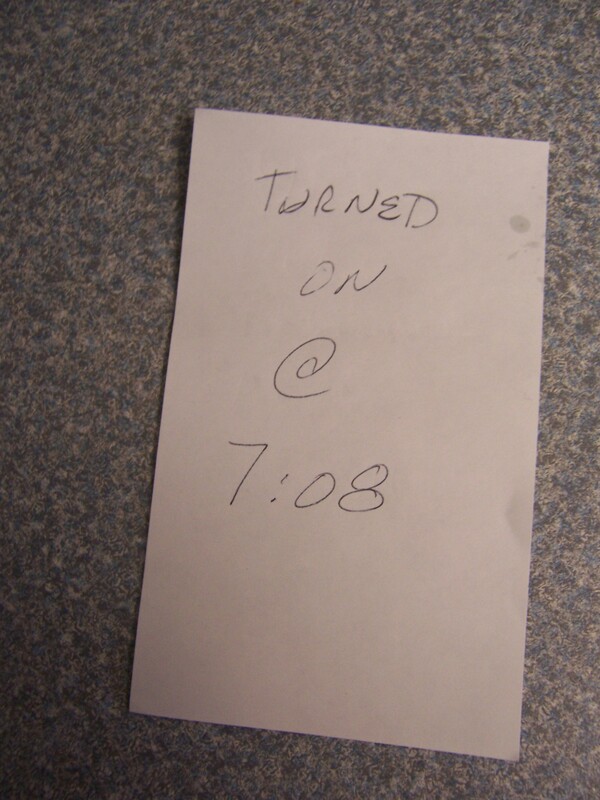 I set a kitchen timer for 30 minutes and went off to do something else. When the timer buzzed, I reversed the order of the racks in the unit, set the timer for an hour and left the Nesco to do its thing. I knew it was going to take anywhere from 6-12 hours to dehydrate the tomatoes completely. Every hour or so I’d unplug the Nesco and rearrange the racks, so they all got a turn being nearest the fan and heat. By bedtime, the tomatoes smelled wonderful, but most of them were still moist to the touch – which meant they still had a ways to go. A few of the smaller slices were nearly dry, though, and I sacrificed them to the God of Testing – delicious. I’m not comfortable running appliances through the night, so I turned the Nesco off and put the racks in the refrigerator for the night. I’ve got a good husband. John had to leave quite early the next morning and was gone by the time I rolled out of bed, but when I went into the kitchen to make my morning tea I discovered that he’d gotten the racks out of the refrigerator and started the Nesco for me. Within two hours about half of the tomatoes were dry; I took those out, set them aside and continued the dehydration process with the remainder. One or two of the newly dried tomatoes had moist patches, so I ate them. Did I mention that they were delicious? 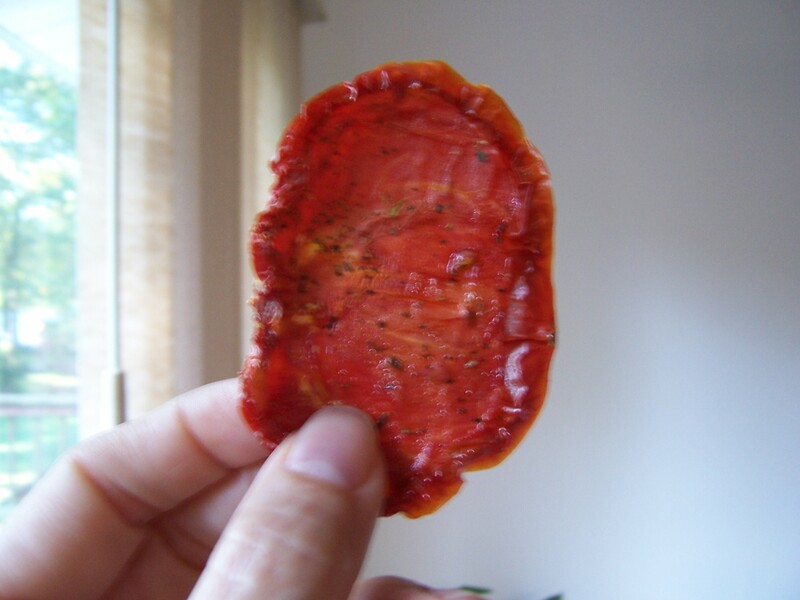 Dried tomatoes have a wonderful tang, and the little bit of seasoning made them even more delightful. Every time I checked on the dehydrator, I’d have myself a little taste. It’s a wonder any of them made it into storage, but eventually I had a sandwich-sized baggie full of yummy treats. They were really pretty, too – none of the browning I’d experienced with the oven-dried version. 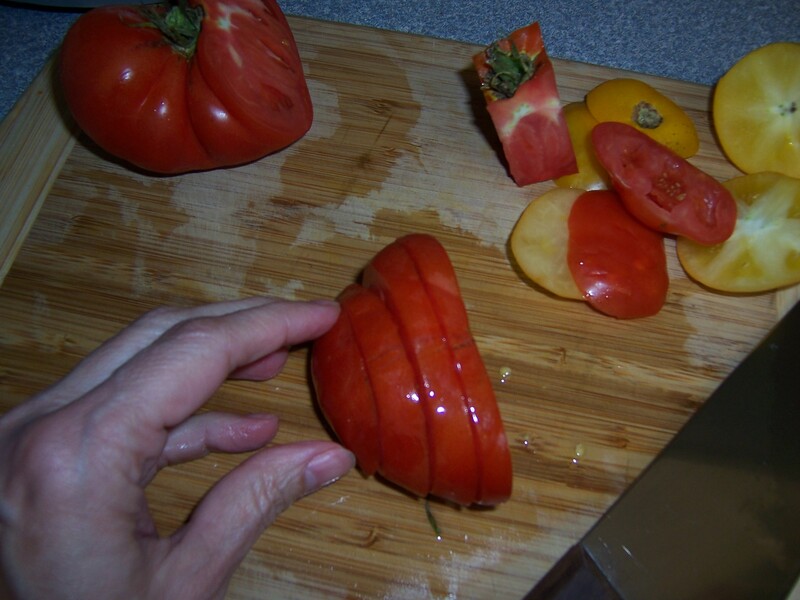 I still had plenty of tomatoes, so I decided to slice up another batch. By the time John came home, they were nearly done, and I was quite smug about my accomplishment and was already planning Phase Two of the Great Dehydrator Experiment: fruit. This was so much fun to read. I love fresh tomatoes and yours looked so yummy and healthy. I kind of felt bad for them having to go through the dehydrator. I kept thinking of ripe tomato, lettuce and mayonnaise sandwiches. But I guess when you’re lucky enough to have such a plentiful crop, you’ll get to enjoy them in other ways. Carol, I always keep back a tomato or two for sandwiches. To me, there’s nothing nicer than a tomato sandwich with salt, pepper and a little mayonnaise – particularly if the tomato has never seen the inside of a refrigerator! 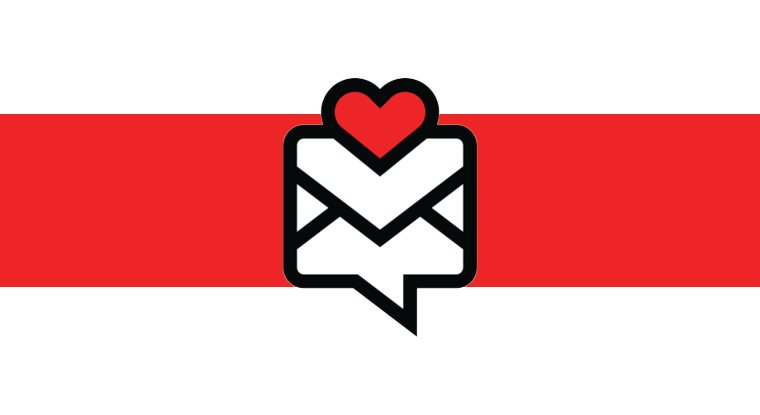 This is such a great read, I’m forwarding it to a few people. I can just imagine with Jersey tomatoes…mmm.